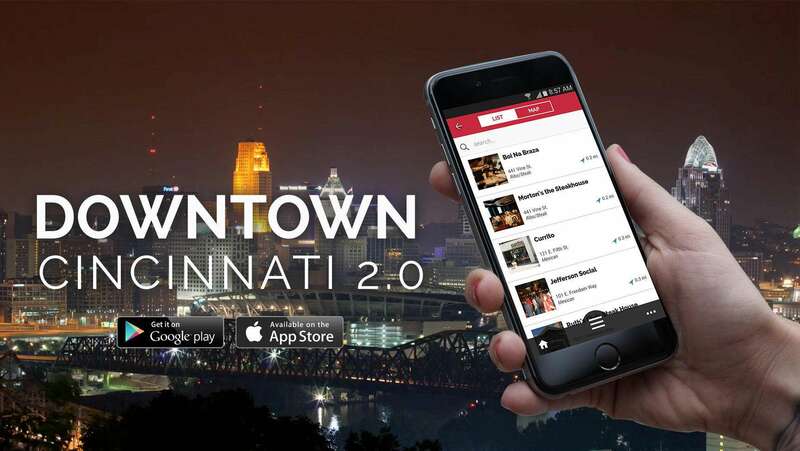 We transformed the old Downtown Cincinnati app with an updated design and user experience to make discovering the city easier than ever! Find shops, bars, restaurants, parks, attractions, events, and more all with the tap of a finger! Another great feature included in the app is an interactive map with places to park, including parking garages and lots downtown. You can search for a specific business and get walking directions, or browse business listings by location to discover something new. The app also includes establishment website links, phone numbers, and hours (and Happy Hours!) so you can have everything you need to make a quick decision about your next downtown outing. Visiting Cincinnati? You can search for hotels and transit information, and you might as well check out the tours section while you’re here! Are you always complaining that you don’t know where to park when you go downtown? The app features an interactive map with plenty of parking options, from lots to parking garages. Get walking directions, driving directions, or transit information, all in one place! Look up your favorite business to get info on hours, or browse business listings by location to discover something new.